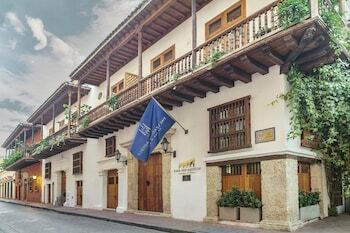 With a stay at Hotel Casa San Agustin, you'll be centrally located in Cartagena, just a 5-minute walk from Puerta del Reloj and 6 minutes by foot from San Pedro Claver Church and Convent. Featured amenities include complimentary newspapers in the lobby, dry cleaning/laundry services, and a 24-hour front desk. A roundtrip airport shuttle is provided for a surcharge (available on request). With a stay at Hotel Tumburagua Inn in Neiva, you'll be within a 5-minute walk of Neiva Cathedral and Santander Park. Event facilities at this hotel consist of a conference center and a meeting room. Located in Medellin (El Poblado), Hostel Patio Bonito is within a 15-minute walk of Monterrey Comercial Mall and Poblado Park. Free self parking is available onsite.